A technological breakthrough in skin rejuvenation! 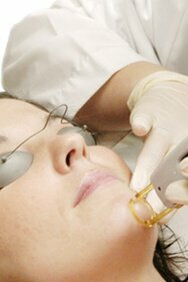 We provide a complete skin resurfacing process using the DiamondTome System. The DiamondTome system utilizes the polishing and cleaning action of diamond chips. The procedure removes the top layer of skin via exfoliation with diamond chips and leaves a smoother texture and a healthy glow. No loose particles to breathe and no chemicals to irritate your skin. There is no recovery time required. Your skin may be softer, smoother, and cleaner with a healthy glow after your first treatment!